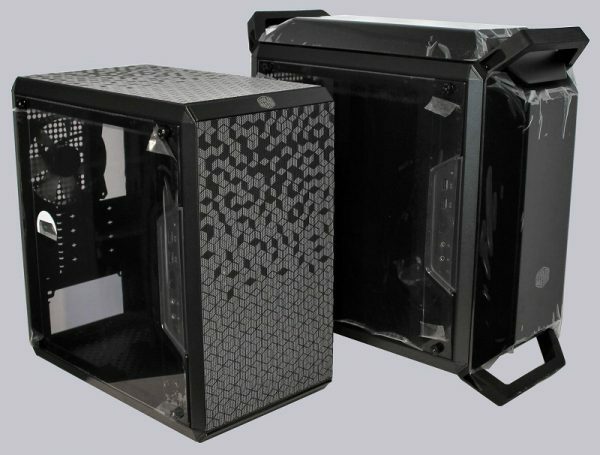 The Cooler Master Q300L has at review date a price of about 39 Euro and the Cooler Master Q300P of about 69 Euro. 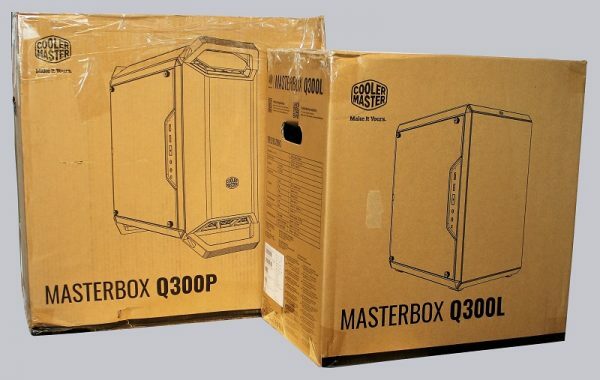 Here you can order the Cooler Master Q300 series at a reasonable price. The MasterBox Q300 cases are each supplied in a standard box with polystyrene inserts. Unpacked, they present themselves with protective film on the delicate acrylic parts. Included in the delivery, in addition to the housing itself, a printed quick reference guide explaining the main assembly steps, all the necessary screws for mounting the motherboard, graphics card and hard drives / SSDs. Plus a few cable ties.